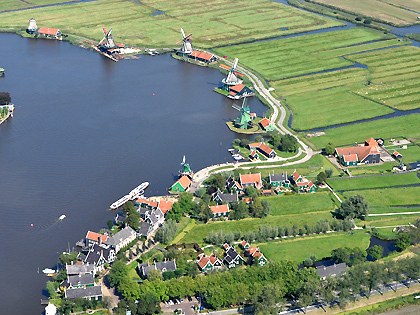 The Flower Tour takes you over the famous windmills of the Zaanse Schans and the beautiful colorful flower-bulb fields. Price for this 60 min. private tour is €1999,- (up to 4 pers.). On Saturdays and Sundays it is also possible to book this tour for two persons for €999,-. Because the flowers only bloom during spring we only offer The Flower Tour between the end of March and the beginning of May. SKU: N/A. Categories: Helicopter Flights, Tours. Tags: heli flight, helicopter flight, private. After departing from Amsterdam Heliport we will fly east over the North Sea Canal towards Amsterdam Central Station. From there you have uninterrupted panoramic views of Amsterdam and its surrounding. Next we will head towards the beautiful Dutch countryside where you’ll be able to see the iconic windmills of the Zaanse Schans. After that we will continue our Tour to the Flower Bulb Region. It is truly overwhelming to see the unique colorful tulip fields from above. The Flower Tour is definitely an unforgettable experience during your holidays in Amsterdam! 1, 2, 3, 4, 2 Seats – Only on Saturday or Sunday!